We need rain. This last dry season has been usually hot, dry, and windy, and the rains have been slow to return. There is a serious shortage of electricity because there isn’t enough water in the rivers to run the hydroelectric generators. So, it’s hard to complain when we get rain. It has been pouring most of the afternoon, often with lightning and very loud thunder. There is a little wind, especially considering how much thunder and rain there is. Back in Florida a storm like this would have debris blown all over the place! It’s good to have the rain. The air is cool and comfortable. We already went out on our bikes this morning and we have no where else we have to be. The electricity seems to be hanging in there, so what does one do on a rainy afternoon. Update the website! I’ve had the website for quite a while but haven’t done a whole lot with it yet. I’m sure it will always be a work in progress, but I have made a bit more progress today. Hopefully it will be a useful place to visit for some of the many people who are interested in learning more about this part of the world. I did a lot of work on the information page. It has links to all kinds of things we have written about. There has also been a little work on the links page. If you have a site or know of a site that would be good to include, please let me know. I have installed a program that alerts me when there is email from the contact us page. I thought I had it set up to foward to my regular email account but it didn’t work out that way, so when I went to look at the mailbox I discovered it has some really old mail in there (how embarassing, and thankfully these folks also contacted me here). Now I have something that pops up a window on my computer and won’t go away until I attend to it. I have added some new banner pictures to mix it up a bit. Zemanta brought up some news articles (which are all pretty much the same article). It’s interesting though to see how our water problems in Panama have made the news in so many US newspapers. I’m curious about the canal – two ships in a lock at once? Those ships are SO big! I’ll have to watch the webcam and see what is going on. I also like the Live Marine Traffic page to identify the ships. Right now I see a cargo ship from Denmark entering the Miliflores Locks, and another from Libera in Miliflores Lake. This entry was posted in expat, expatriate, Panama and tagged Central America, Chiriqui, Chiriqui Province, David, Dry season, expat, expatriate, Hydroelectricity, International Living, Latin America, Panama, water. Bookmark the permalink. 8 Responses to Pouring in Panama! I should more than I do, but not today. The poor hammock needs to dry out a bit now. Poured here yesterday. Couldn’t see the other side of the street! Came on unexpected, leaves in the back lanai were not picked up and they plugged the drain … ugh … flooded the back of the house … again! 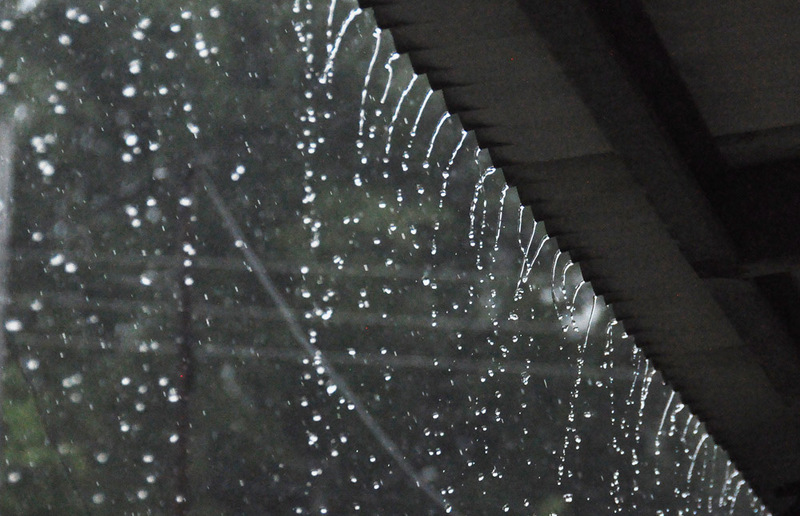 Non-sarcastically, jejeje, LOVE the heavy rains. Rain here is different, not cold like up north, and life just seems to go on. Water in the house isn’t so much fun but even then, people here have concrete and tile, no carpets so even that doesn’t so any serious harm. Hope your house is OK! All good. My house is cement, no rugs and cement tile floors. Only the back flooded, and you are right, not like Canada at all! 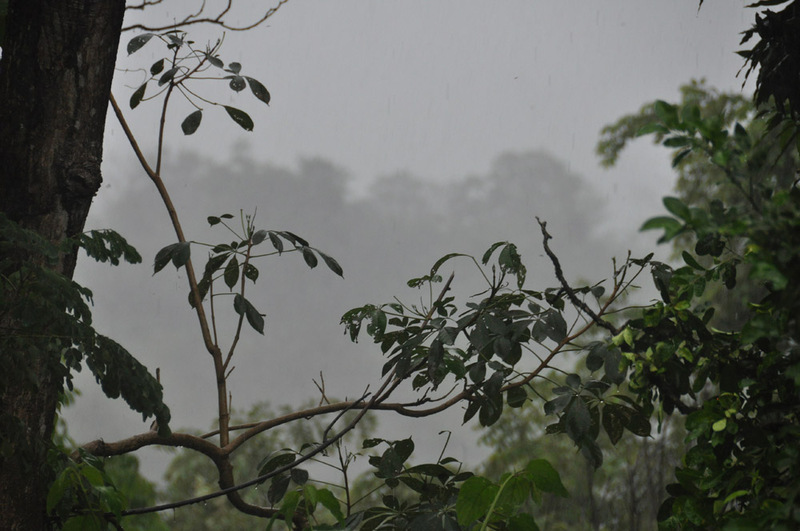 I will always remember the hard rain in Panama. Once, when taking a ship through the canal from the Pacific side to the Atlantic it was raining so hard that it seemed as if the air just turned liquid! It went on for hours and hours. Of course, without the annual rains Gatun Lake wouldn’t fill up and the canal wouldn’t work but when it is raining like that you get a feel for what it must have been like before the Ganges River was tamed. Your post brought back many memories. We have lots of sunny weather too but yes, sometimes the rains really do get going and just soak what seems like the entire world. Air turned liquid – I like how you said that, how it describes how it feels sometimes.